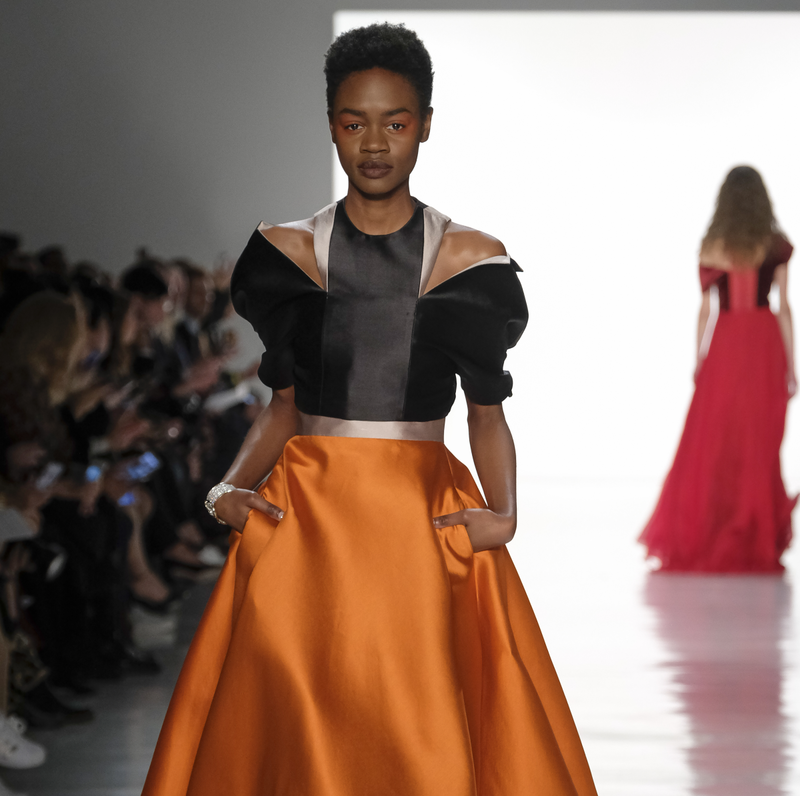 Of all the fall collections at New York Fashion Week, Bibhu Mohapatra's was the most colorful. 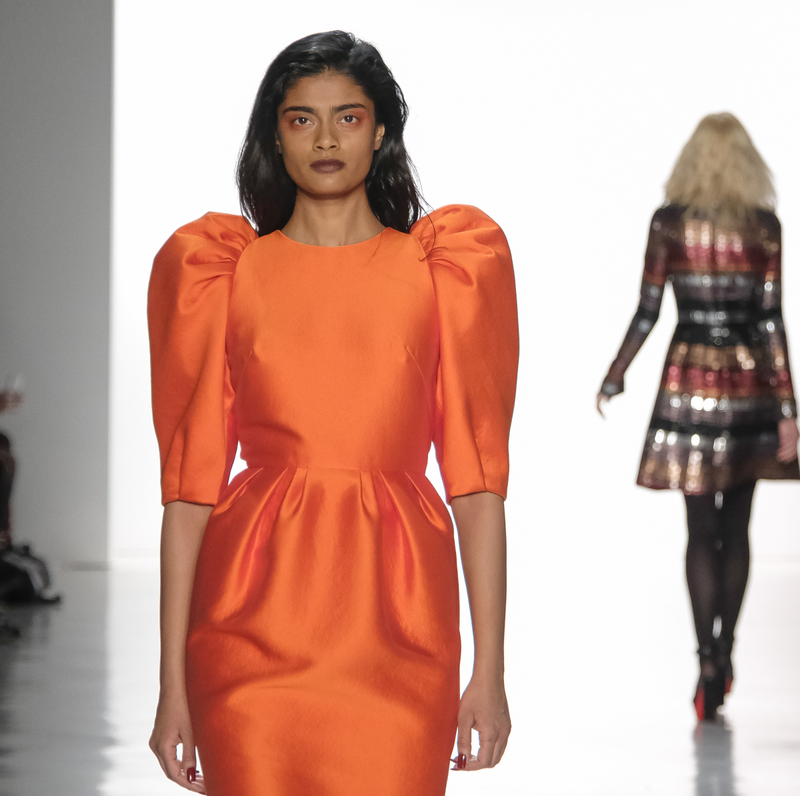 The New York-based designer of Indian descent sent out an array of dresses and gowns in rich hues, including saffron, smoked pink, absinthe green and wine red — perfect for the Texas woman who is allergic to basic black. 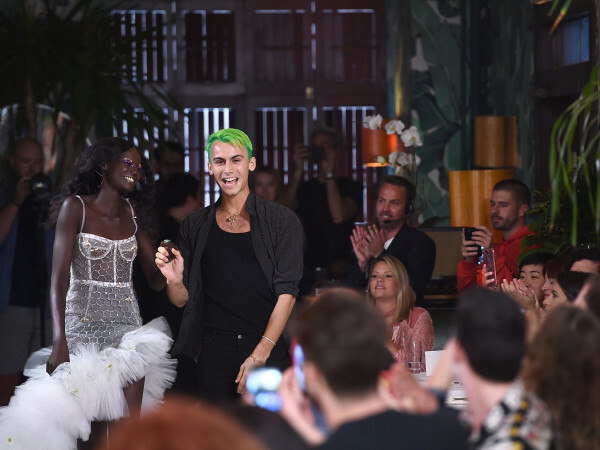 With so much color on the runway, the collection has a happy spirit. But it also has an edge as Mohapatra based it on the character Vanda in the sexually charged play Venus in Fur, which has been staged on Broadway and in Houston at the Alley Theatre in 2013. 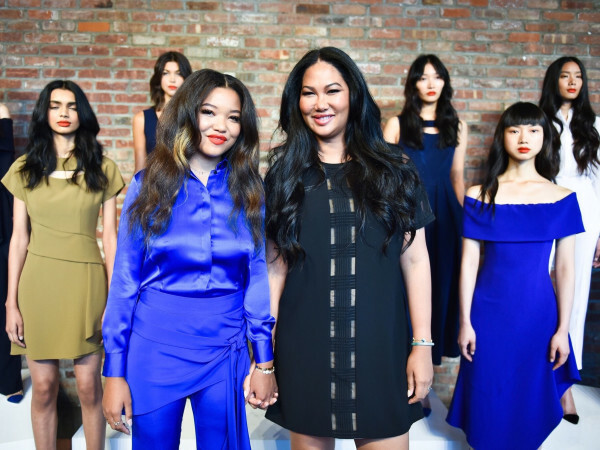 Mohapatra said the collection "celebrates women's empowerment, and reiterates that woman's power is not defined by man." Despite the play's title, there was no fur in Mohapatra's collection. Instead, he experimented with shapes and cutouts. Shoulders are covered up — a saffron dress has peak sleeves with volumes of fabric at the shoulders — or exposed — several pieces, labeled "Vanda's gown" or "Vanda's blouse," leave one shoulder uncovered, as if the fabric fell down onto the arm. 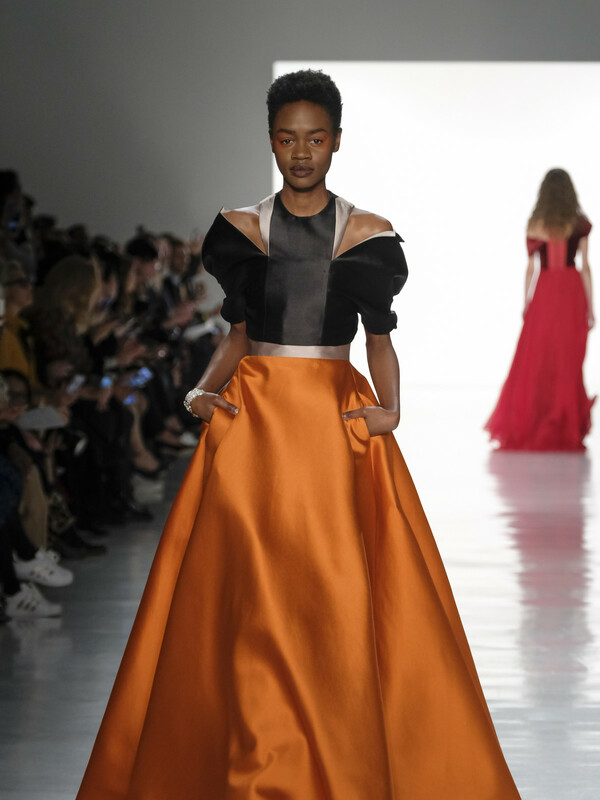 Tulle trains flare out from prim, close-to-the-body cocktail dresses and one gown has a cutout in the open center torso. It's made for the women who wants to stand out and look different while fitting in at a gala or cocktail party. Mohapatra, who has dressed Michelle Obama several times, is known for exquisite detail and craftsmanship, so even his edgy looks have a refined air. Up from Houston for the show was LCAHouston International Society News editor and founder Ruchi Murkerjee and Sandeep Khandelwal.